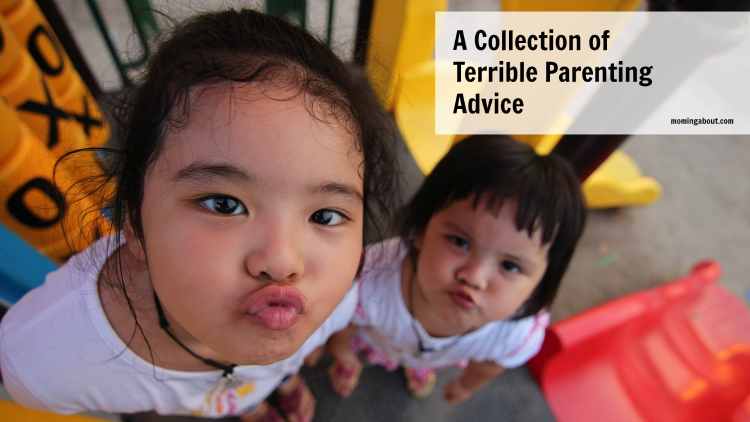 Personally, the first piece of advice that I give to first time parents is to be prepared for all the unwanted, unsolicited parenting advice from everyone. Some of it will be good. Some of it will be downright awful. Much of it will be given with good intentions. And just as much will be unwanted or unneeded, regardless of the intent. 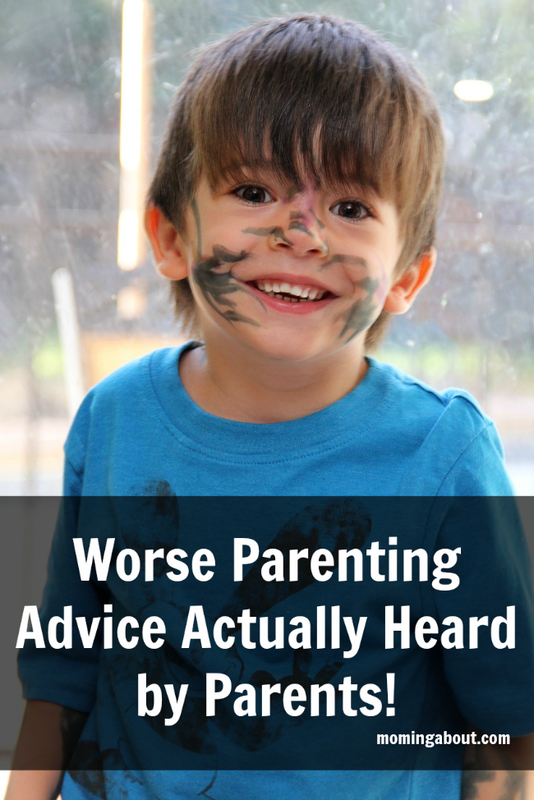 So, with people handing out advice like candy on Halloween... How are overjoyed, overwhelmed, first time parents suppose to know what is good advice and what is terrible? Better yet, how is any parent (because the advice doesn't stop whether you have 1 or 10 kids) suppose to know? I have a love/hate relationship with parenting advice. So my second piece of advice (yep, I'm somewhat of a hypocrite) to parents would be that there is no right way and to make educated decisions about their own child(ren). The other day in a group I'm in, some moms were sharing the best and worst advice they've ever received. It was so terrible and wonderful, that I've compiled this awesome list for you of the worse ones! Feel free to laugh hysterically and/or yell 'WTF!' at your screen. 1. When you bathe your baby, don't get too much water in the creases or they will get moldy. 2. 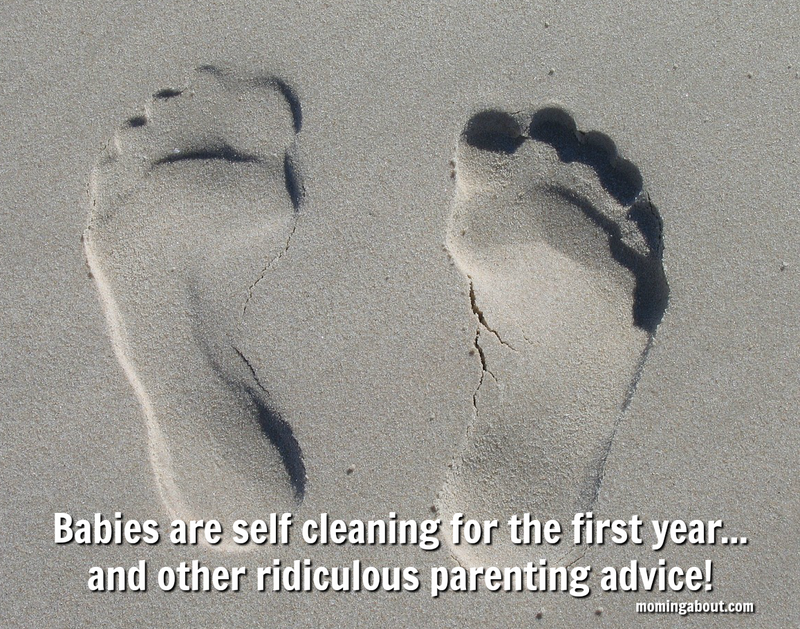 Babies are self cleaning for the first year. No need to bathe. 3. Put poop on her thumb so she'll stop sucking it. 4. If you don't drink cow's milk everyday, your body won't make milk for your baby. 7. Nurse on a schedule. 8. Breastfeeding after baby is 6 month old is pointless because baby doesn't get any benefits after that and it's for your own sick pleasure if you continue to do so. 9. If you can't handle your baby crying it out, turn off your baby monitor. If (s)he pukes, you can clean it up in the morning. 10. Put your preemie on her tummy to sleep. 11. Give your kids benadryl if they won't sleep. 6 weeks old? 6 months old? Who cares? 12. Give your 6 week old cereal in their bottle, so they'll wake up less to eat. 13. Children are to be seen and not heard. 14. Don't pick up your baby every time they cry or they'll be spoiled. 15. Holding your baby too much will hurt her. 16. I've already raised this many kids, so I know better/more than you do. 17. Babies need daycare so they can socialize. 18. Spank your kids who disobey. Spank them harder. Spank them until you break their spirit. 19. Loosen his car seat straps, so he can move around more. 20. It is a disservice to your child to homeschool. Best or worse parenting advice you've ever received? Oh, I love this list! My daughter just turned one yesterday, and I have heard a lot of this. Just curious because from your sleep advice section it seems like you're not a fan of cry it out - what worked for you in terms of sleep? We bed share and room share. My daughter is almost 2 now. I usually lay her down in the pack n play downstairs 30 to 60 min before I go to bed. There have been a few times she's cried some and then fallen asleep. Like 5 minutes or less and not hysterical cries or anything. Then I move her into my bed or her crib upstairs when I go to bed. I have also worn her in a wrap or other carrier until she fell asleep and then put her in her bed or wherever I was going to lay her down for a nap/bed. My older two share a room (9 and 5 year old boys) and typically just sleep in bed together. Sometimes we have a family bed night. :) It's not for everyone. I get that. Holy crap! Who thought of some of this stuff? Babies are self-cleaning? WTF? That was my favorite. It's SO bad!